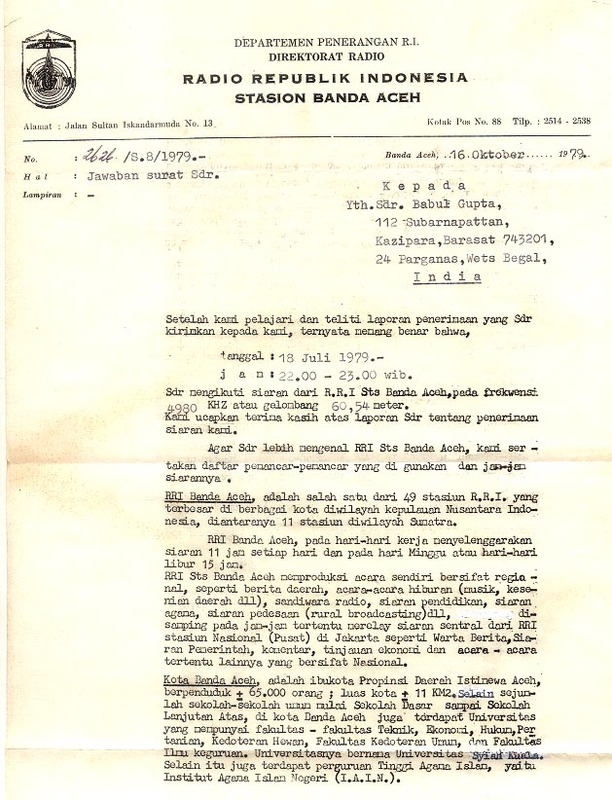 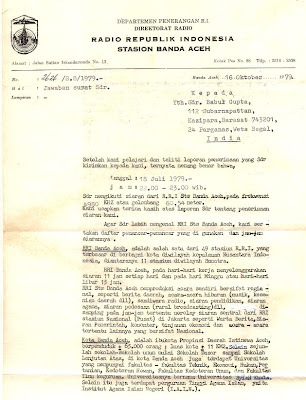 4980 kHz, 2200 hrs to 2300 hrs Indonesian local time log this station on 18th July, 1979.
log this station on 4th November, 1979 broadcasting in local Indonesian language. 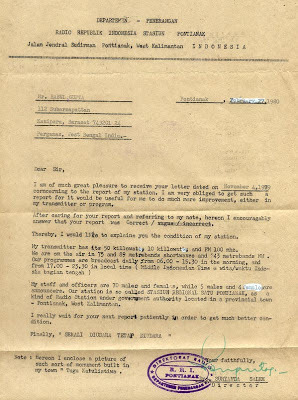 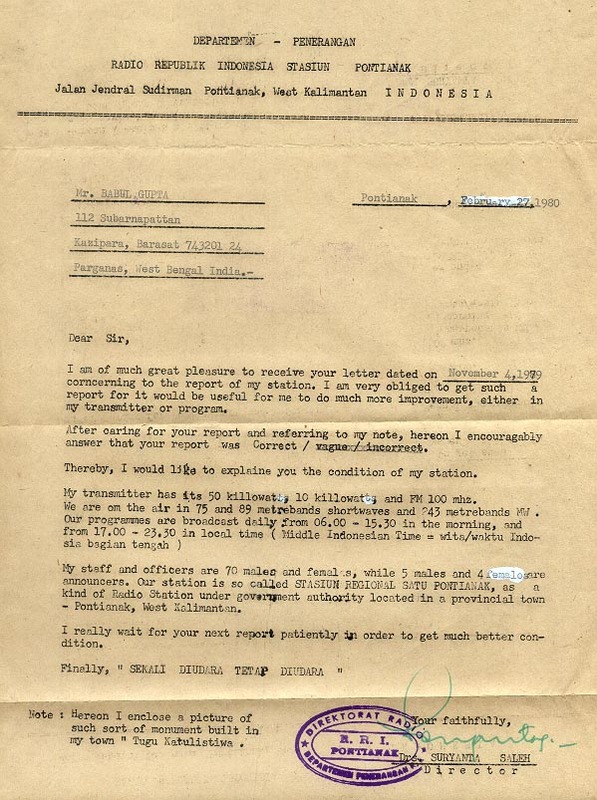 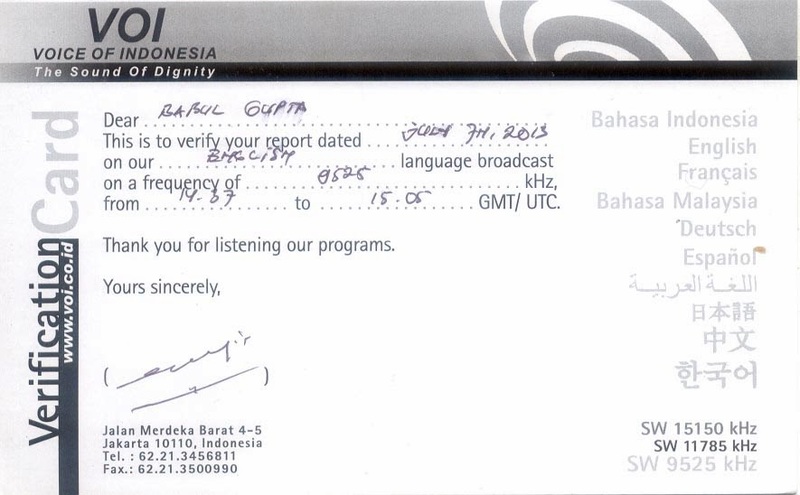 9th December, 2011 and email confirmation of my reception report was received on 16th December, 2011. 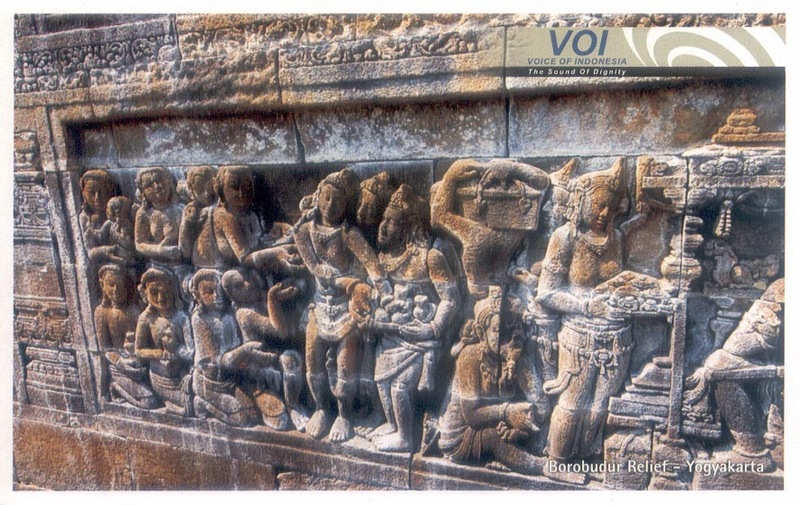 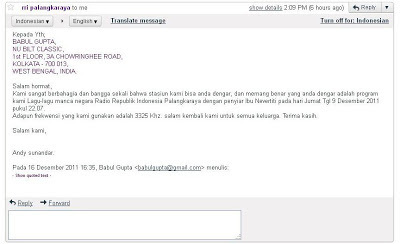 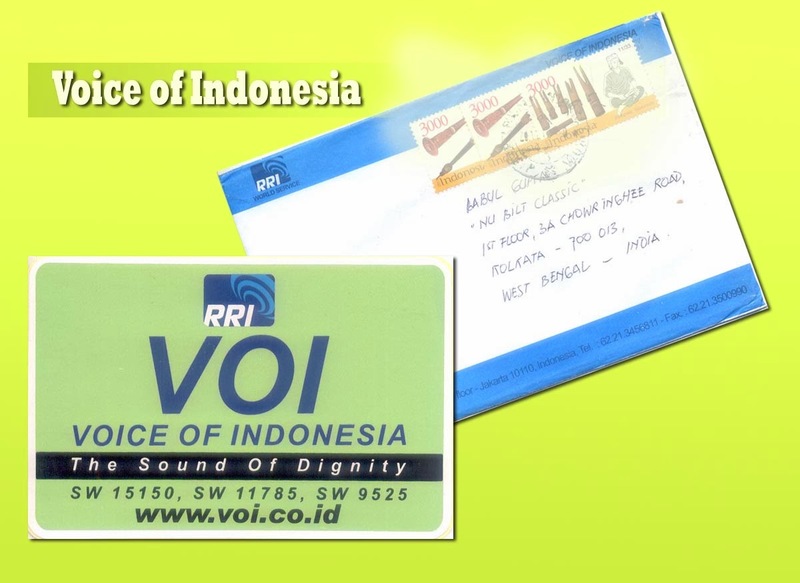 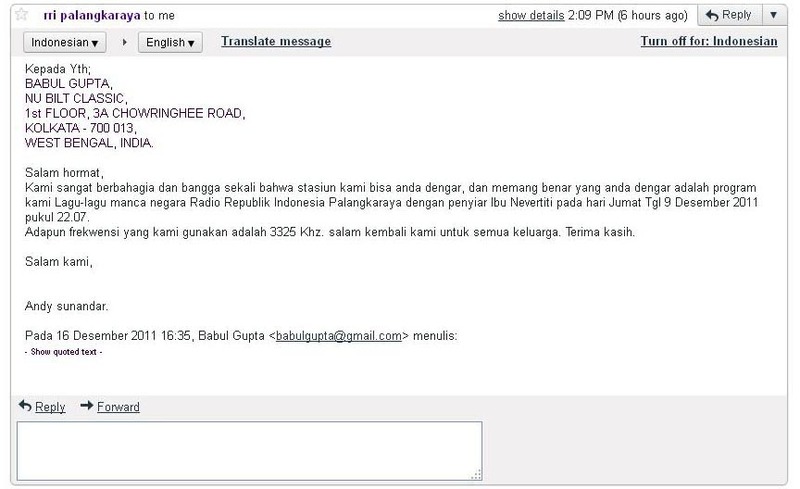 Voice of Indonesia: 9525 kHz, 1437 hrs to 1505 hrs UTC in Indonesian language log this station on 7th July, 2013 and f/d QSL with program sked and Sticker arrived on 3oth November, 2013 for my email report.